In the season of the apostolic reformation that God has sanctioned, a clear and definite distinction between the true and false will be concisely articulated. No longer will individuals capitalize on the lack of knowledge of sincere believers by impersonating themselves as men and women of God. Because one can easily dress the part with religious garments and artifacts, speak the lingo of the church or operate fluently in a gift will no longer be looked at as the validation of God. There must be genuine grace plus lifestyle endorsed by heaven, God himself. False prophets travel in circles of those whom are likeminded. They often function within networks sealed with titles like prophet, pastor, reverend, bishop, teacher, apostle, evangelist, Dr, or gospel singer. False prophets can take on either one of these titles to mask themselves in order to successfully blend in. Operating under these titles help them to capitalize and prey on the lesser informed saints. One early stage of identifying false prophets is the ability to diagnosis their view pertaining to core biblical doctrine, such as “how does one obtain salvation”, “heaven and hell” etc. Many emerging false prophets typically began faltering and behaving very ambiguous concerning clear biblical truths. Their positions on these absolute truths may have been solid at one time, however at some point of deception; that which was solid began progressively sliding into gray areas. And before you know it they are teaching there is “no hell”, “everyone is a Christian” and “Jesus is not the only way that leads to God”. As shocking as these statements sound, false prophets formulate their acceptance by marketing these erroneous doctrines among the unlearned and those that choose deception over truth. 2 Thessalonians 2:10 (NLT) – He will use every kind of evil deception to fool those on their way to destruction because they refuse to love and accept the truth that would save them. False prophets cannot operate without a place of acceptance. Many of them seek out the people that prefer to be lied to and flattered. 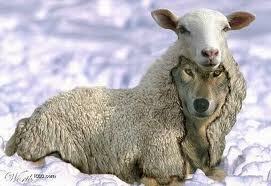 Too often in our churches and ministries there are believers that provide safe havens for false prophets to operate. We invite them to our churches, we allow them to teach in conferences and some of us seek to connect with them and become a part of their networks. We must build our churches in a way that will protect the sheep from the deceptive practices of false prophets. A call to repentance and genuine pursuit to satisfy and fulfill the will God must be our central focus. Mobilizing saints to ensue maturity and the heart of God builds a spiritual system within us to detect what is God, and filter out that which is not of God. John 14:17 (NLT) – He is the Holy Spirit, who leads into all truth. The world cannot receive him, because it isn’t looking for him and doesn’t recognize him. But you know him, because he lives with you now and later will be in you. To effectively shut down false prophets is to remove their place of sanctuary. If false prophets cannot make for themselves a great name and much money, they will soon enough depart and adventure some other way to fulfill their lust. Jeremiah 5:26,27 (NLT) – Among my people are wicked men who lie wait for victims like a hunter hidden in a blind. They are continually setting traps for other people. V-27 Like a cage filled with birds, their homes are filled with evil plots. And the result? Now they are great and rich. Jeremiah 5:30 (NLT) – A horrible and shocking thing has happened in this land – the prophets give false prophecies and the priest rule with an iron hand. And more yet, my people like it that way! But what will you do when the end comes? Majority of the time you can spot at least 3 of the 4 signature signs if not all 4 of them operating within false prophets. False prophets typically do-not address the “Sin Factor”. Many of them will tell you that they are not called to deal with sin or discuss sin. They attempt to provide some feeble argument that addressing sin which runs rampant in the lives of people is “not important” or it is “God’s job to handle that”. If the scriptures are true and the wages of sin is death, I think it is very important that people be encouraged to identify what is sin and then encouraged to come out of it, otherwise they will perish. Upon further observation of false prophets, I am convinced the real reason they do-not address sin, is for three basic reasons. Number one is they are practicing sin themselves. Number two; they want to be popular and accepted by the majority of people, therefore ministering on the “sin factor” cramps their style. And number three; ministering on the “sin factor” cuts into their financial bottom line. The bible is clear about addressing sin, and encouraging people to depart from practicing sin. Isaiah 58:1 – “Cry aloud, spare not; lift up thy voice like a trumpet! And show My people their transgression and the house of Jacob their sins. Job 5:17 – “But consider the joy of those corrected by God! Do not despise the discipline of the Almighty when you sin. Proverbs 3:11,12 – My son, do not despise the chastening of the Lord, Nor detest His correction; v-12 For whom the Lord loves He corrects. Just as a father the son in whom he delights. The aspiration to become and maintain popularity amongst false prophets has created a climate among some that the very mention of the word “sin” is synonymous with uttered blasphemy. Many will announce certain statements such as “it’s judgmental” to preach or teach on the sin factor. Statements such as this one are often inserted with the hopes of mitigating any further discussion pertaining to the subject. After all who wants to appear judgmental? The ability to devalue the sin factor presents an illusion that “it really doesn’t matter if one is practicing sin”, after all, we all have sinned. This type of illusion compounded with half truths numbs people to the reality and consequences of sin. The talking points of false prophets may sound noble and religiously compassionate, however preaching and teaching on the sin factor is not to come across as judgmental or dogmatic, although ministering on the subject is confrontational to some degree. Let’s face it; reproving sin is not easy on the flesh. A responsible leader will address the sin factor to produce adjustment and correction where needed. To only ignore it, as if it doesn’t exist, or to use religious jargon such as “it’s the responsibility of God to come down here to address sin”, is living in a state of denial. 2 Peter 2:18 (NLT) – They brag about themselves with empty, foolish boasting with an appeal to twisted sexual desires. They lure back into sin those who have barely escaped from a lifestyle of deception. Modern day false prophets cannot resist the opportunity to brag about themselves. They are constantly speaking and aggrandizing about things that they believe will be impressive to others. When dialoguing about themselves they like to utilize terms like “my anointing”, “my gifting”, “my people”, “my stuff” etc. This type of terminology is a reflection of the inner pride and self exaltation that operates within false prophets. They are consumed with advertising the status of their personal possessions. They are materialistic in nature. Their material accumulation is the gauge where by they measure success. Unfortunately this false model for measuring success has influenced too many leaders and saints in the body of Christ. I have witnessed good men and women of God shift their pursuit from fulfilling divine purpose, to attempt to satisfy the demands of a false model of gaining material possession. Psalm 12:3 (NLT) – May the Lord cut off their flattering lips and silence their boastful tongues. This fallacious model has conveyed a mindset that if you are going to be successful in ministry you must provide evidence of success by producing an elaborate lifestyle. Images of this model have been projected throughout the media, primarily Christian television. Many saints have bought into this gross deception and have gone into debt trying to appear successful. In some cases saints are being fleeced throughout congregations as well as the media just to meet the demands of this model. God the father never instructed us to pursue material possessions to reach success. This false model has been birth out of half truths and stimulated by the spirit of greed, which resonates with false prophets. They will tell you the manifestations of their possessions are proof of their success and the blessings of God. This is often communicated in hopes of solidifying would be disciples. When discussing their material collection of goodies, they will attempt to spin the discussion as if they are sharing such information for the glory of God. What I find interesting in 2 Peter 2:18 the apostle Peter says they brag about themselves with an appeal to twisted sexual desires, luring people back into sin. False prophets brag about themselves with an agenda, they are never just bragging for the sake of bragging, whether it is to fulfill some twisted and perverted sexual desire among the weak or laboring to get your money, nonetheless they are bragging with an alternative motive. Jude 1:16 (NLT) – These people are grumblers and complainers, living only to satisfy their desires. They brag loudly about themselves, and they flatter others to get what they want. They prey upon lesser informed saints because they are more susceptible to their brand of seduction. With their eloquent speeches and persuasive stories pertaining to their personal greatness they influence many to yield to their continual requests and demands to fulfill their insatiable appetite. False prophets are never satisfied. Their inner workings is that of the “Wolf Spirit”, very ravenously and calculating, waiting to pounce upon their prey. 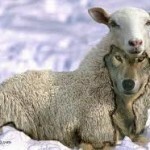 Matthew 7:15 (AMP) – Beware of false prophets, who come to you dressed as sheep but inside they are devouring wolves. Wow, This text was powerful. Simply powerful and without doubt a must read to all who visit this article. ” There must be genuine grace plus lifestyle endorsed by heaven, God himself”. This line is power to the soul. Can’t deny this. Very good article. Really changes the whole mindset and speaks the truth of Modern day false prophets. Extremely inspirational. My name is Michael and I just wanted to say a few things about the articles on this web page. I have read two them. The authors skill and voice will pull you in and lead you through till the end. It is obivious Apostle Rodgers is a strong apostle and dedicated to his research and education in the Lords word. Not only to help us learn but also to continue in his path to living in Gods light. Apostle Rodgers use of scripture passages in his writngs I found compelling and inspirational. They had me reaching for my Bible and looking up the passges he used, so that I could see what came before and after. I strongly recommend to all of you, read these words and see what God has to say to you. For I feel when someone talks to me about the Lord or I am directed to something like this that it is God himself speaking to me through one of us. Thanks for your visit to Uganda. Your book about “Modern-Day False Prophets” has opened my eyes. May God give you more grace to log into his Mind, elevate your sight that you will receive more revelation and that Nations will know the truth through the Apostolic and Prophetic Reformation. The Signs of Modern Day False Prophets has greatly impacted my life. It has produced clarity, understanding, and breakthrough for me. This is a “must read” that presents the uncompromising Truth that has ultimately set me free! Thank you so much Apostle for your endeavor to bring clarity and revelation to a much avoided and sensitive subject. My heart was inclined to read every page before I put it down! (smile) I thank God that you speak the truth (word) and the intent (heart) of God. Light and salvation permeated from the pages. Sadly, there are many scattered remnants lost and confused. Many have unknowingly inherited ownership of a bridled iligetimate architech as a result of improper directives and perverted instruction. Your simplistic approach accomplishes the task for serious breakthrough Apostle! Truly Sir, you enlightened my heart, vision and my spirit! Glory to God for an awesome work! Hello to the body of christ across the world, we are very glad to report to you of what GOD is doing here in Uganda, the kingdom of God is advancing amidst the challenges where the gospel has been turned into a business with a lot of manipulations by the mordern day false prophets. we want to thank God for men like Apostle Derrick Rodgers for rising up and shining in such an environment of darkness covering the whole earth, speaking the truth boldly to the body of Christ. we want to appreciate Derrick and Treneka for their resources from the books like Signs of Modern Day False Prophets. Indeed Derrick and Treneka are resources from above to the church of today. it is our prayer that God increases them so that they may reach the unreached parts of the world. They have been a blessing to the church in uganda and we are interacting at a higher level. may God abundantly bless their ministry. In “The Signs of Modern day False Prophets” book, is interesting that the contents depicts exactly the characteristics of our daily prophets who are afforded by their friends because of the highest honorarium they are demanding to minister to God’s people. They brag about their wealth and emphasize how God bless those who are financially supporting their ministries which are a fertile soil to sow. Gone are the days when a minister will pray and wait upon the Lord to do the will of God, because today’s prophets look only at who is inviting them. I really thank you because this is an eye opening book and helping the tribe to discern the false prophets of today. Apostle Derrick, may the Lord extend your territory of revelation and ministering to His people in an uncompromising manner. I should say that these prophets have always scandals of sexual immorality and ill behavior and always tell us that the gifts of God are without a repentance. Believe me that they perform indisputable miracles.